Jacksonville has a custom storage option for you. is a fabric bust to hang necklaces. If you are a jewelry aficionado or have accumulated an extensive collection, we recommend dedicating a drawer to storing your pieces. 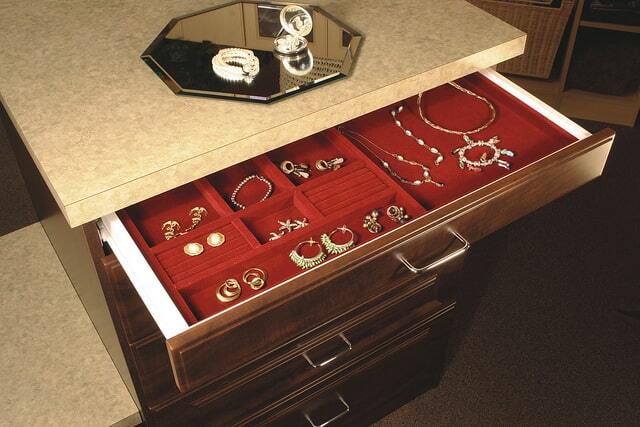 Try clearing out the top drawer of your dresser and customizing organizational trays to fit your collection needs. Separate earrings, rings, bracelets, and watches into different sections. 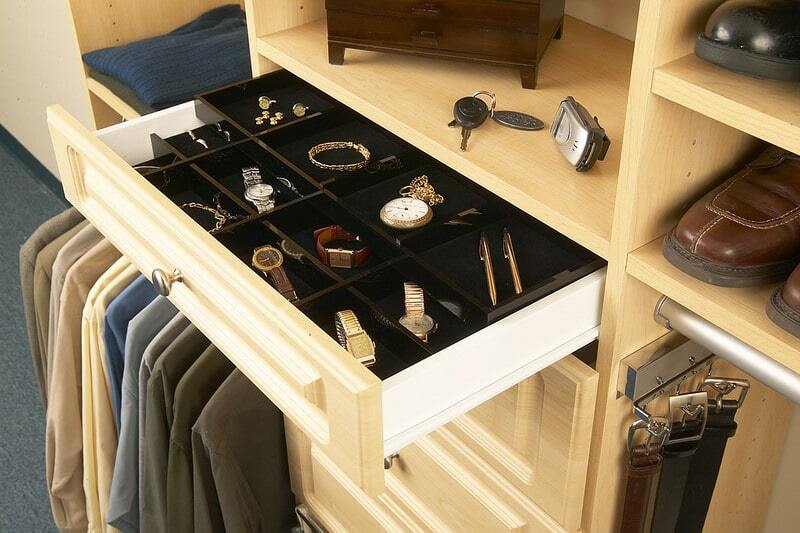 Utilize long compartments to lay flat fine necklaces, and limit the number of necklaces per compartment to one or two. Keeping your jewelry spread out allows you to easily see what is in each section for quick selection. Your jewelry is special to you and More Space Place is here to find the custom organization solution you need so your collection can shine. If you’re interested in learning more, contact our experts at More Space Place Jacksonville for a free consultation or visit us in our showroom.